Operational chicken farm on 38 acres. Income producing farm - has a contract with Perdue Farms. Four 40 x 500 chicken houses, single-wide home, old 2-story farm house that has been gutted but could potentially be restored, outbuildings, grain bins, and more. May have potential to build two more chicken houses here. 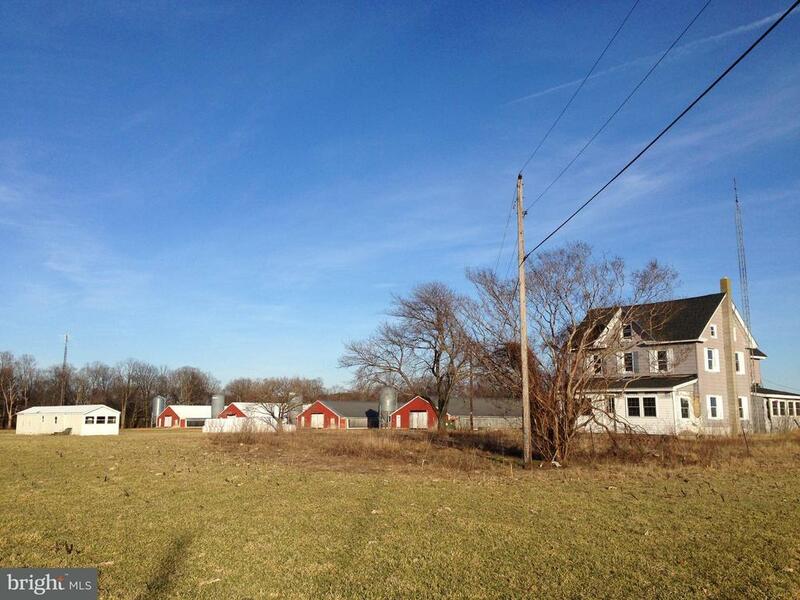 Great opportunity for a farm with a contract and at a very affordable price. Farm Remarks: New manure shed, metal on sides of chicken houses and insulated with inside walls closed. Rotem Platinum + Controllers, 6" cooling pads, Chore Time Feeders with chick mates, Box heaters, new fogger systems, new end fans, 175 Kw generator with Perkins diesel engine.